Holen Sie sich Ihr kostenloses Konto! Ich stimme zu Nutzungsbedingungen und Datenschutzrichtlinie. Erstellen Sie Rechnungen in weniger als 5 Sekunden. Während wir Ihr Konto einrichten, sollten Sie nicht vergessen, das Konto zu bestätigen, indem Sie auf den Link klicken, den wir an Ihre registrierte E-Mail-Adresse gesendet haben. 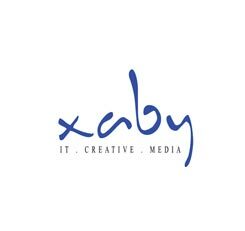 We recently had a conversation with Mr. Ken Tan of Xaby.Com, a web design services company based in Singapore. Here are some of the excerpts from the discussion. Tell us about your business, the clients you serve, services you offer etc.,? We have a talented team consisting of 8 people in our Singapore office. How did you get to know about Zoho Invoice? I was searching for an invoice software that would fit all my business needs and I discovered Zoho Invoice from TechCrunch. I have heard about Zoho CRM before and I was not aware that Zoho offers an invoice software. So, I immediately signed up for the free plan and eventually converted to a paid plan as I wanted to create more invoices and estimates. How Zoho Invoice helps your business? I attend a lot of client meetings regularly and I have the need to create and send invoices and quotes in a short span of time. Zoho Invoice helps me to do just that. Just after the meeting I pull out my laptop or smartphone and create quotes or invoices in just few minutes. I make use of estimate templates and embed my business logo and brand it up before it is sent to the clients. The professional looking invoice templates are easy to customize and use. I buy snail mail credits and send out snail mails to my customers that are based in USA. And the best thing about Zoho Invoice is that I don't have to worry about the data security at all. I pull out the data anytime whenever I require. I also see sales figures and payment reports at regular intervals. "This is a user friendly invoicing program, as it lets me edit or extend due dates in my invoices without any hassles. I have also automated payment reminders which makes payment follow-ups very easy. As I am mobile most of the times, I also tried out Zoho Invoice's iPhone app. It's a real time saver for my business. I create invoices in less than a minute. As a matter of fact, I have also sent numerous estimates to my clients sitting in a coffee shop! It's just amazing." Did you use any other software prior to Zoho Invoice for invoicing? Yes. I was initially using MYOB for my invoicing needs before started using Zoho Invoice. What else you enjoy doing apart from your routine business work? I enjoy playing soccer when I get free time and I love surfing! Hoppla! Wir konnten Ihren Namen nicht erfassen. Wohin sollen wir die Antwort schicken? Wir haben Zeit. Nehmen Sie sich die Zeit, uns Ihre Frage zu senden.